2018 was a great one for Meze Publishing, as we were honoured with several awards for cook books that have been created alongside some great top chefs and food connoisseurs. Daniel Clifford’s Out Of My Tree – Midsummer House was named Best Cook Book in the UK by the Gourmand Awards and has subsequently been shortlisted for Best Cook Book in the World. It also has recently been named as one of the top 20 best food books of 2018 by The Guardian newspaper. Elsewhere, Sweet Chilli Friday and the Den Haag Cook Book have also been recognised by the Gourmand Awards; Sweet Chilli Friday has been shortlisted fin the Best Easy Recipe category while The Den Haag Cook Book has been shortlisted in the International Cook Book of the Year category. Part cook book and part autobiography, Daniel Clifford’s Out Of My Tree – Midsummer House is a warts and all account of the pressures and triumphs of his 20 years in the hospitality industry; a brutally honest account of his life story, and a tribute to the distinctive style and sophistication of his dishes. It tells the story of how Daniel went from being a dyslexic child from a broken home to one of the best chefs in the country. As well as his story, Daniel’s debut cook book features over 140 recipes right from the early days of Midsummer House in the late ‘90s through garnering two Michelin stars and the success of the tasting menu through to the very latest recipes the restaurant is serving today. At 416 pages, and a large format hardback, this is a book to do justice to someone who makes two Michelin starred cooking the standard. RRP is £45 and the book is available NOW at the Midsummer House restaurant and online at www.midsummerhouse.co.uk or here. Sweet Chilli Friday is the debut cook book from six working mothers who get together once a month on a Friday to share recipes at their cooking club, Peppercorn Passion. 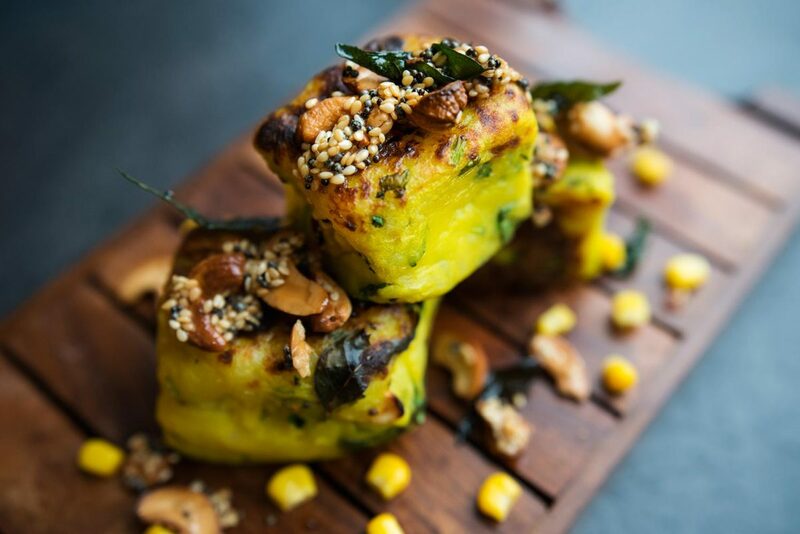 With 60 vegetarian dishes in all, the flavours are inspired from all over the world, from Italian-inspired aubergine crostinis to Burmese street food dish Khow Suey as well as Eirio (Kenyan vegetable mash), pinwheel samosas and blueberry chia puddings. The group started when two old school friends, Sangita Manek and Sheetal Mistry, were discussing how they both always made the same five dishes over and over again and their families were getting bored. So what if they swapped recipes? Before long there were four more friends in the mix, Alpa Lakhani, Anjana Natalia, Sonia Sapra and Deepa Jaitha, and the Peppercorn Passion cooking club was born. Sweet Chilli Friday is a collection of the recipes they have shared over the years; all are vegetarian, and the headline rule is to keep it simple. All are busy working mothers so these dishes are easy enough for most people to make at home on a midweek night for the whole family. They use ingredients most people will already have in the store cupboards and they taste great too. The book sold out in less than a month and is available here. After the success of our first venture into international foodie territory with The Amsterdam Cook Book, we moved onto another international cook book with our latest ode to the Netherland’s rich gastronomic scene: Den Haag Cook Book. Often regarded as the food capital of the Netherlands, Den Haag has earnt a reputation for its exciting and refined culinary culture born from the city’s vibrant multicultural residents and diverse influences from across the globe. The home of the country’s political and royal affairs, the city’s open green boulevards and historical structures serve as the perfect backdrop for Den Haag’s fine dining restaurants and bustling café scene. Capturing both the city’s respect for the traditional and thirst for the new and innovative, the book features over 25 recipes from a range of Den Haag’s finest eateries, from authentic Dutch cuisine to contemporary Asian and Mediterranean inspired creations. Photographed and compiled by local photographer Casper van Dort, The Den Haag Cook Book provides a feast for both your eyes and your stomach. With an ear to the ground and first-hand knowledge of the city’s cream of the crop, Casper and Meze Publishing have succeeded in bringing together a cookbook that includes the finest eateries the city has to offer, giving everyone the chance to recreate the signature dishes of Den Haag at home. Comprised of 25 contributors, each place included in the cook book features a chapter aimed at capturing the stories behind each business. The Den Haag Cook Book retails at €19.95/£14.95 and is here.